Day 4 of my smoothie experiment and things are going well. 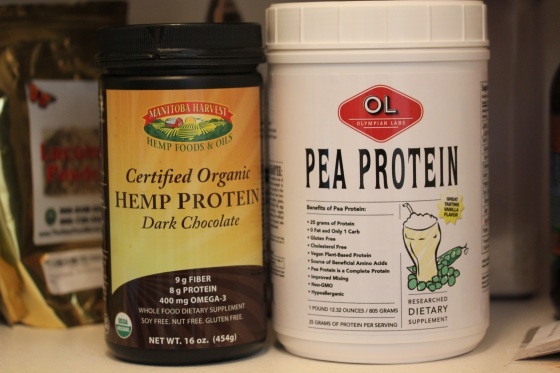 I’ve been alternating between the two protein powers currently in my pantry – Manitoba Harvest’s Dark Chocolate Hemp Protein and Olympian Labs Vanilla Pea Protein. The hemp protein only has 9 grams of protein per serving, but also a lot of fiber while the pea protein has 25 grams of protein and no fiber. 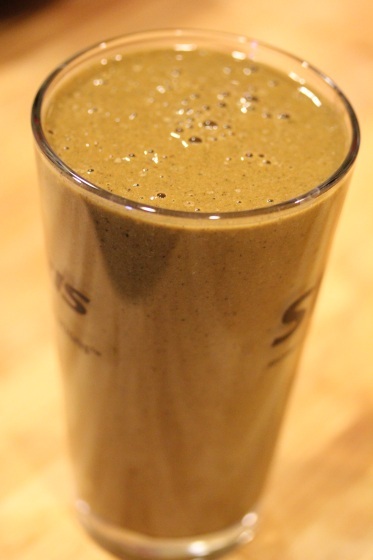 Because the hemp protein has so much fiber, I typically pair it with low-fiber fruits in smoothies and created an awesome winner for breakfast this morning with it. 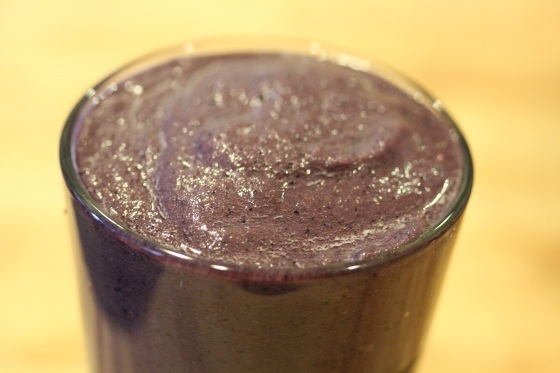 For lunch I went with vanilla pea protein and added fiber-loaded frozen blueberries, apple, sprouts, two pitted dates, another carrot and red cabbage to create a gorgeous purple smoothie. It was also excellent, the vanilla pea protein is surprisingly sweet and has a strong vanilla flavor compared to vanilla Sun Warrior protein and went nicely with the blueberries. Except for being sick on Monday, I had a lot of energy and buzzed around my house tackling projects, hitting the gym, and burning through chores. I didn’t feel as hungry or empty as I worried I would, but good – not bloated or weighed down by a heavy meal. I missed heartier foods, especially around dinner time. It was challenging using up all the veggies in my fridge when I’m just making single serving smoothies, not a 4-serving meal with leftovers. 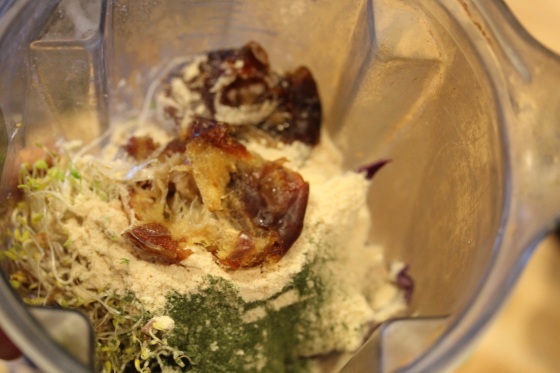 I think this is something I’ll do regularly as my version of a cleanse to have a few nutrient-dense days, give my digestive system a rest, and refocus on what ingredients I’m using. 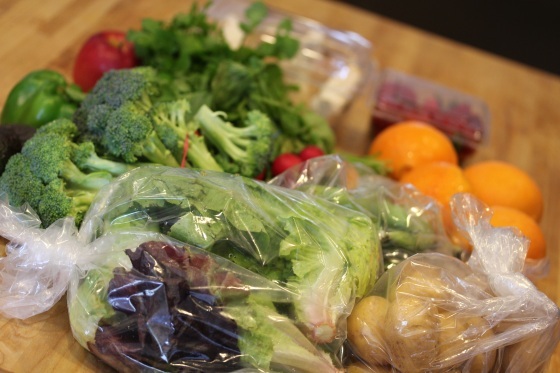 I ended up freezing some fruits and veggies today for smoothies since I got a huge farm box. 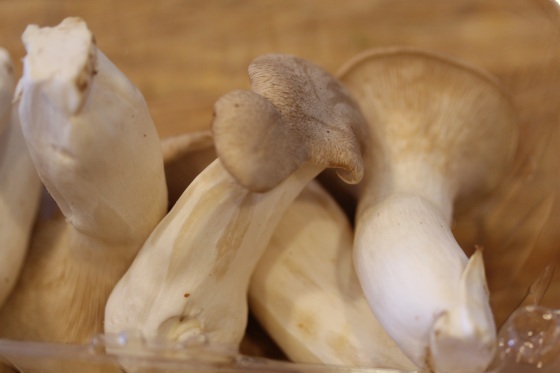 Packed with romaine lettuce, broccoli, green peppers, oranges, apples, little potatoes, strawberries, avocados, fava beans, radishes, and something new – Royal Trumpet Mushrooms. I’ve never worked with them before. Have you? Do you like them? 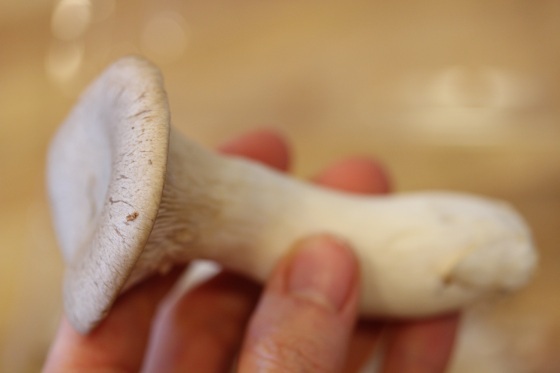 I can’t wait to see what you do with those mushrooms! True on chewing, but little snacks here and there helped. I’m still trying to figure out what to do with the mushrooms, I’m tempted to make the hemp mushroom gravy again because it was wonderful. the royal trumpet shrooms look gorgeous!! have never had them but i want to bite into that one youre holding right now! I love smoothies, but I usually have to have a carb or something with them, because I like having something to chew on! That sounds wonderful! I ended up creating a vegan mushroom burger with ground flax and TVP with mine and they came out good.